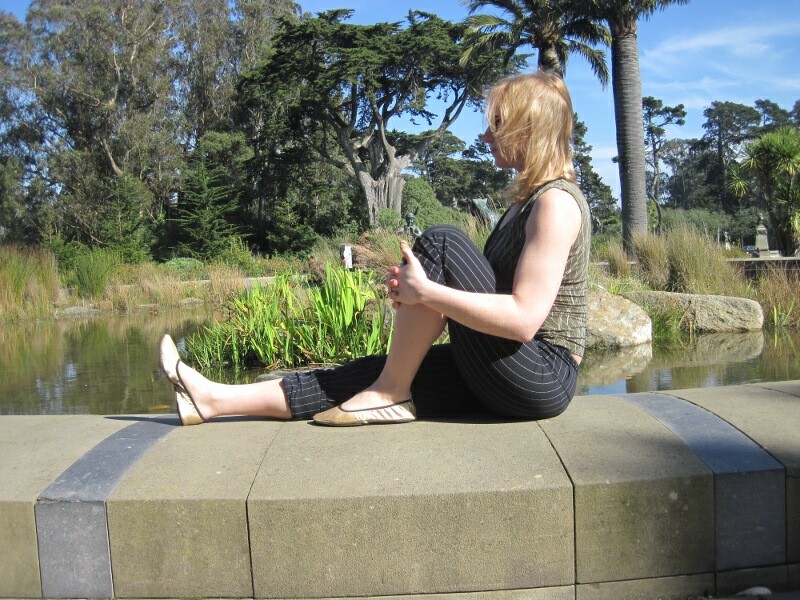 Switching from half twist (ardha matsyendrasana) on one side to half twist on the other side can be kind of cumbersome, so here are two graceful transitions for switching sides. The first option is to do a pivot-turn to get to the other side. It’s easier than it looks! Once you’ve completed the twist on the first side, look in the other direction to guide your turn. Keep the feet exactly where they are, and turn the body. Allow the feet to pivot until you come all the way around to the front again. Sit your buttocks down between your heals for half twist on the other side. The first time I saw this next transition, I thought it was totally ridiculous, but it’s actually kind of fun. After you complete the twist on the first side, bring the hands in front of you on the mat, and come into a tripod headstand with the legs crossed. In tripod headstand switch the cross of the legs. When you come back down, you’ll be ready for half twist on the other side. Okay, so maybe that one wont be immediately graceful, but it’s certainly an interesting variation. 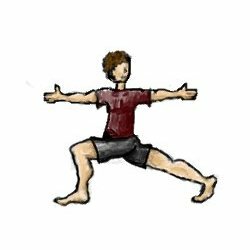 Despite how complicated and pretzel-y eight angle pose (astavakrasana) looks, it’s actually not that bad granted you have the flexibility to get your knee up high on your arm. Here’s how you get into it. 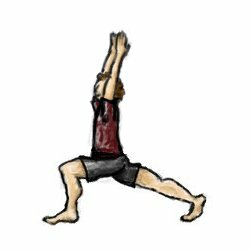 Start sitting in staff pose (dandasana) with the spine straight up and down, and the legs outstretched in front. From here, bend one knee into your chest. Bend one knee in to your chest. Here’s where the flexibility comes in. Thread the same-side arm under the bent knee, and try to get the knee as high up on the arm as you can. If you have the flexibility, you may get the shoulder underneath the knee. The higher you get the knee, the easier it will be to hold the full posture. This position can be a great hamstring and low back stretch, so if it’s enough for you, stay right here! Thread the arm under the knee, and get the knee up as high as you can on the arm. Here’s where it gets pretzel-y. Plant the hands firmly on the ground by your sides, and try to cross the ankle of your leg that’s currently straight over the ankle of your bent leg. Keep breathing. Cross the ankle of your straight leg over the ankle of your bent leg. And now for the arm balance. Plant the hands on the ground underneath the shoulders. Squeeze the inner thighs toward each other and squeeze the ankles together. Contract the abdominals and as you inhale, begin to tip the weight forward to lift the hips off the floor. Make sure you don’t tip so far forward that the feet come down. Breathe. Stay strong in the arms so the elbows don’t bow out to the sides. 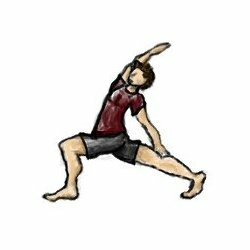 This is a prep posture for the whole pose, so you may have to work on this for a while before you’re ready to move on to the full pose. Inhale, straighten the arms and lift the hips off the floor. If you would like to go a little further, contract the abdominals, squeeze the legs toward each other, and extend the legs away from you on an inhale. Your breath is your guide: if you stop breathing you’ve gone to far. Inhale, extend the legs away from you. Try to hold this for a few long slow breaths, and then balance it out on the other side.